What UTC’s Project 804 means for hybrid-electric propulsion. United Technologies Corporation – previously part of the conglomerate comprised of Pratt & Whitney, UTC Aerospace Systems, and Rockwell Collins – has recently launched a new startup-like division. United Technologies Advanced Projects (UTAP) “moves at intense speed to build and pilot ambitious product and service demonstrators, while simultaneously distilling UTC’s curious and collaborative culture”, as put in a publication by the company earlier in March of this year. The paper outlined their new X-Plane demonstrator, and the company’s ambitions in progressing the future of hybrid-electric flight. UTAP hopes to prove the economic viability of hybrid-electric propulsion by constructing and flying the demonstrator, called Project 804, in the next three years. The demonstrator will be a modified Bombardier Dash 8 Series -100 aircraft with the new propulsion system replacing one of the two megawatt-class engines. While the operating empty weight (OEW) of the aircraft is expected to increase, UTAP expects drastic gross weight savings due to decreased fuel consumption. Ultimately, they expect a total fuel savings of at least 30% during an hour-long mission. UTC has experience in the electrification of aviation and strongly believes that hybrid and full-electric propulsion systems are becoming a viable engineering solution for modern aircraft. Rockwell Collins provided the Boeing 787, the “most electric airplane in the sky”, with its onboard electrical power system and successfully replaced systems which were previously powered by hydraulics or pneumatics. 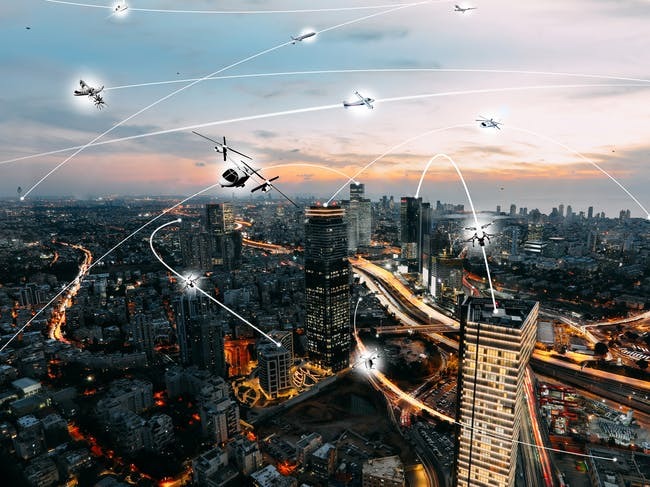 In the publication, UTAP addressed that full-electric propulsion is not yet applicable to regional or larger aircraft, but could very well be applied to VTOL air vehicles designed to transport 1-4 passengers distances of 200 km or less. As seen in the figure above, UTAP plans to operate the electric system only at high-output flight phases, namely at takeoff and climb. This method of propulsion system operation could also be a applicable to many vehicles in the urban air mobility industry. It would minimize the amount of fuel being burned at and near the ‘vertiports’ likely located in dense urban areas, and noise reductions could be seen due to the nature of electric-powered propulsion systems. Why its important: “UTC is leveraging its full engine, electrical, and subsystems integration capabilities to open a new paradigm in aerospace propulsion.” The company’s Advanced Projects division is progressing the future of electric propulsion in aircraft and is likely to carry over to applications in the VTOL and urban air mobility industry. Read UTAP’s latest publication on the Project 804 demonstrator here.